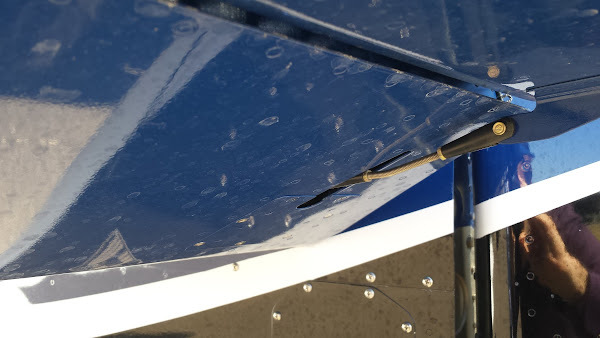 Whilst flying my RV14 taildragger i am experiencing inadequate forward trim over 140KIAS, with full forward trim the aircraft will sit in a nose up position and i am unable to trim for level flight. The revised trim actuator arm from Vans was installed at the time of build. I have heard from another RV14 builder that he had the same issue of not enough forward trim. The builder custom made a new trim actuator arm that was 5-6mm longer than the revised arm supplied from Vans. This has fixed his issue and he now has trim throughout the speed range. Has anybody else experienced the same issue? If so how did you rectify the problem? I've always had enough nose down trim in my tri gear 14. The revised arm came out before my first flight so I have always flown with the new one. Even at max aft CG it has always been plenty at any speed. Additional info regarding airplane configuration (engine and propeller that is installed, any other deviations from a standard built to plans build, etc.) would be helpful. "Van's Aircraft has determined that the existing Elevator Trim Pushrod has insufficient length for proper RV-14 elevator trim tab movement. For builders with empennage kits received earlier than July 10th, 2014, contact Van's and request a new E-01401AB Elevator Trim Pushrod. Fabricate and install the replacement Elevator Trim Pushrod per Pages 09-12 and 09-24 in the RV-14 fuselage plans pages. Be advised that these Plans page updates have been posted to our website on 10-17-14. 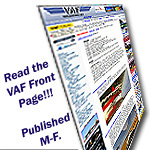 Please visit www.vansaircraft.com, click on Support, then Service Information and Revisions. " This is what the original pushrod would yield. This is explained in more detail here in this blog post. Here's a comparison of the pre 10-Jul-14 pushrod (top) with the post (bottom). As explained in this blog post, elevator trim travel is correct with the revised trim tab. The original N214VA demonstrator, as of 7-Aug-14, did not use the same pushrod design. The picture below is from my visit to the home base on that day, outlined in further detail here. Last edited by RV-14E : 07-20-2018 at 12:13 AM. The adjustable push/pull rod was used during the design testing process. The standard kit supplied (fixed) push/pull rod has been installed and in use for quite a few years now. We have built an RV14 Taildragger, stock lycoming io390 with scimitar hartzell 74" prop. VPX ECB and dual G3X displays, stock standard installation. When testing the trim the aircraft had full fuel, both pilots weights were 91kg and 89kg respectively and there was nil baggage on board. The link below has a detail of the revised trim actuator that was installed as specified by Vans. Thankyou for taking the time to reply and for the information received to date. Hmmmm. I haven’t seen this. I have flown the demo RV-14A at max gross weight, including max baggage, and I see the auto trim barely moves forward in cruise flight. I’m inclined to think ther may be something else going on with your airplane. Don’t hesitate to contact me and we can discuss.